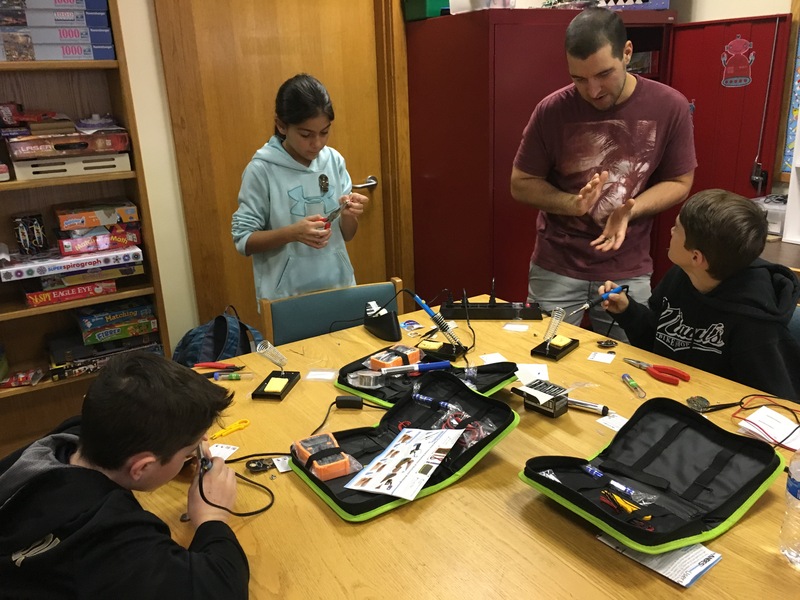 West Bridgewater Public Library – "Keys to the past… Gateway to the future"
After-school drop in activities for older elementary and middle schoolers. High and low tech. Fridays after school. Hands on technology. Stop by to see what is offered. See this list of document requirements. Reservations can be made HERE. Our phone number is 508-894-1255. 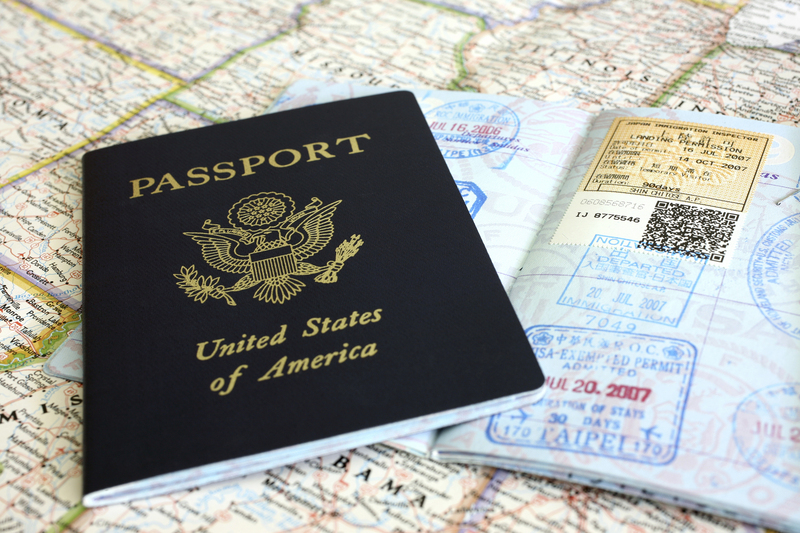 If you are renewing a passport, you can do so by mail. See these instructions. New mobile SAILS app makes everything a snap! 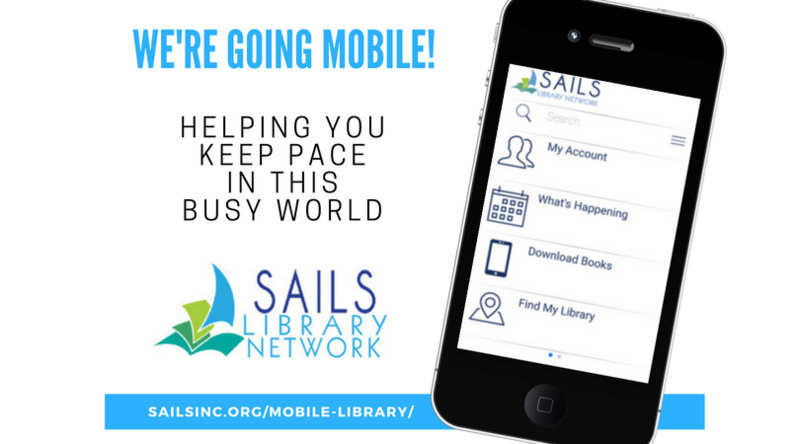 Download the SAILS app from your phone app store and you’ll be thrilled with how much it helps you stay organized. You can search for a book, place a hold, keep track of what you’ve checked out, when things are due, renew, and, best of all, link your children’s cards to yours so you can keep track. 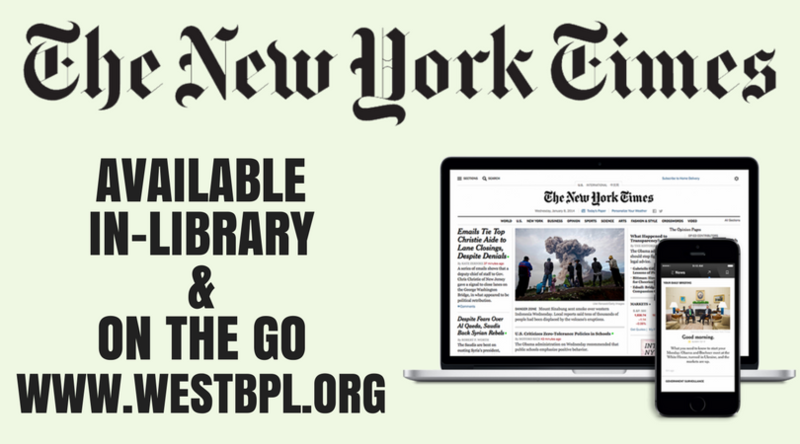 Click here: NYTimes link or in the drop-down menu under FEATURED from the “Home” button. This brings you to a page where you redeem a 72 hour usage coupon to read articles, watch videos and read the comments sections. After the designated time, redeem another coupon to keep reading. Roku is a digital media player that allows you to stream video, music, and entertainment content. Roku is like a DVD player that you never have to put a disc in. 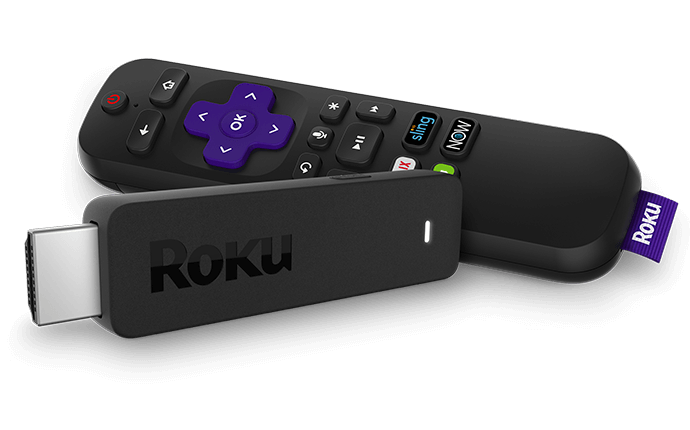 With Roku you can stream from the comfort of your home sofa without needing to pay for a cable package. Check out one of these devices and instantly get access to movies and live television as well as PBS and PBS Kids content. Stop by and check one out today! Join us every Tuesday morning at 11 A.M. for a quick half hour of raucous and unapologetic laughter! We “fake it ’til we make it” and laugh at funny scenarios or situations. We practice yogic breathing to keep our bodies full of oxygen. It’s a seated practice and we’ve been laughing together for about 2 years! Tuesdays 5 – 7 p.m. A drop-in club for people who want to knit or crochet with others. Bring your projects and materials to work on while enjoying the conversation and helpful hints. Beginners are welcome. Volunteers will help you get started. Want to subscribe to our email blast? Send your request to info@westbpl.org to be added to our list.